Thermoplastic elastomer (TPE) films that are permeable to water vapor, or "breathable," are finding increasing use in the medical industry. They typically demonstrate the characteristic properties of ether-based TPEs processability, elasticity, permeability, and strength. Breathable film-fabric laminates are finding increasing acceptance in end uses requiring selectively waterproof but breathable barrier characteristics. Medical barriers are frequently characterized by synthetic blood penetration or viral penetration tests . Disposable applications include operating-room gowns and other personal protective apparel, cleanroom garments, bedding covers, wound dressings, and gloves. For garments, waterproof, breathable inserts made from TPE films with high WVT are fabricated from films that are adhesive-laminated to fabrics. The laminate is cut and seamed to prepare the insert. 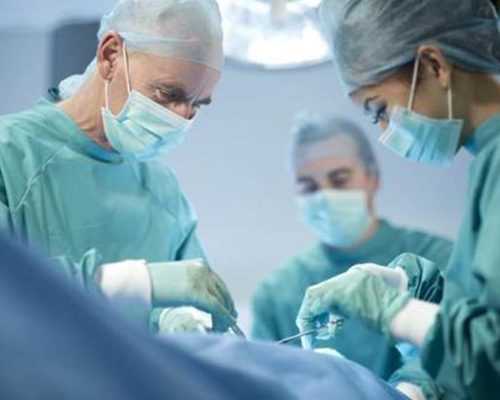 Professional garments for use in operating rooms benefit from selective barrier characteristics since they protect the patient from dust or skin particles while still allowing for sufficient evaporation of perspiration to prevent heat stress. Disposable gloves made from urethane film provide protection against various environments. In comparison with vinyl or latex gloves, they offer much higher permeability to perspiration evaporating from the hand, resulting in increased comfort and better handling characteristics. The TPE material also obviates allergic complications for latex-sensitive wearers. Monolithic TPE films provide the medical community with breathable barrier materials. A variety of applications have been realized for protecting patients and medical professionals from biohazards and infections. The versatility of TPE films enables them to be used for gloves, wound-care products, protective covers, and multiple-use protective garments.